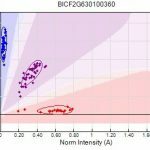 Irish Red and White Setter- Preliminary Results! This week the Irish Red and White Setter breed received some initial data released from UC Davis. Thus far, there have been 41 tested IRWS, from the United States and Europe. 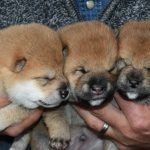 What has UC Davis discovered about this breed? Thus far the breed has been segregating slightly by location. As seen in the PCoA graph from UC Davis, dogs in Eastern North America, Western North America and Europe are tending to cluster by region. 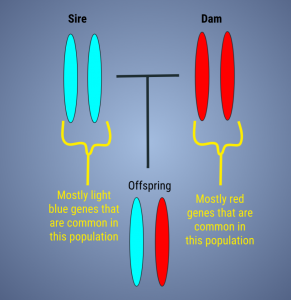 While still a single breed, it appears that geographical location may play a part in different genetics within the breed. It will be interesting as more of the population is tested to see whether this trend continues. 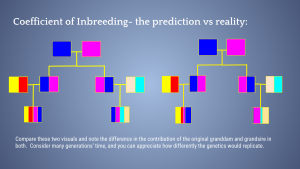 If so, importing lines from different regions may be of use to breeders who wish to redistribute genetic diversity within the breed or who need an outcross for their line. 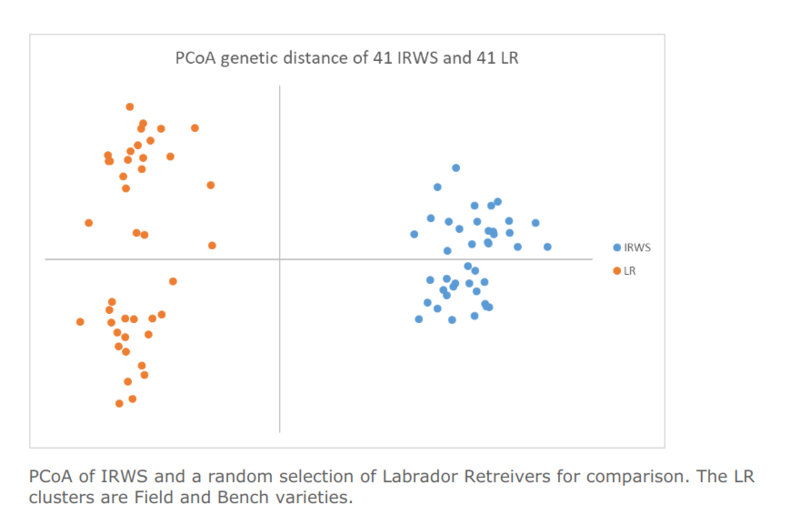 In the image to the right, we can visualize the distribution and size of the breed compared to randomly selected Labrador Retrievers, a breed which has been found to be very diverse genetically. Labrador Retrievers have a breed split based on bench versus field, as can be shown in the two separate clusters (each dot represents an individual dog). 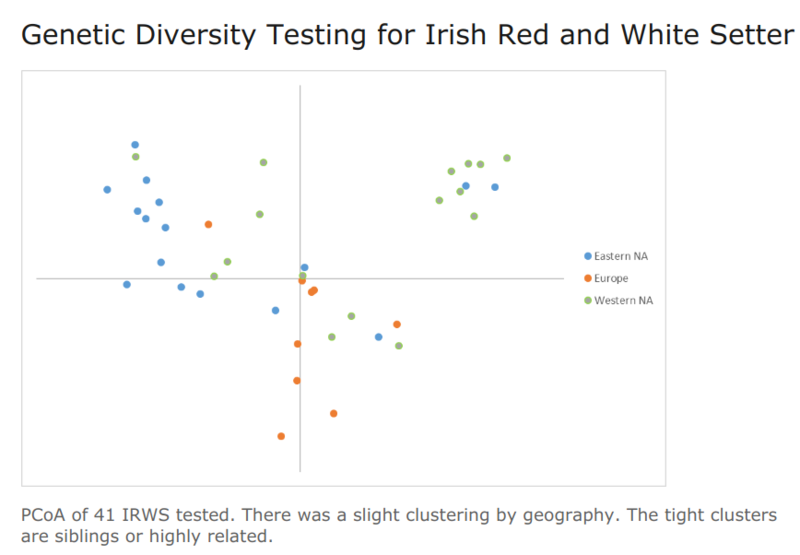 Compared to Labrador Retrievers, Irish Red and White Setters have less diversity and cluster closer together. UC Davis has thus far disc overed 7 Class 1 and 6 Class 2 DLA haplotypes. Of these haplotypes, 1008 and 2052 represented 60% and 49% of the tested alleles respectively. This indicates that so far there are DLA haplotypes that are poorly represented in the breed and may indicate the presence of a bottleneck in the breed. This is potentially due to the effort to revive of the breed after World War I in the 1920s, in which few individual dogs were used. One particular female, Judith Cunningham of Knockella, born in the 1940s, is behind all IRWS today. This may be a reason for the lopsided DLA haplotype frequencies. 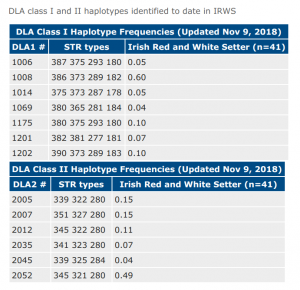 What other breeds share DLA haplotypes with the Irish Red and White Setters? 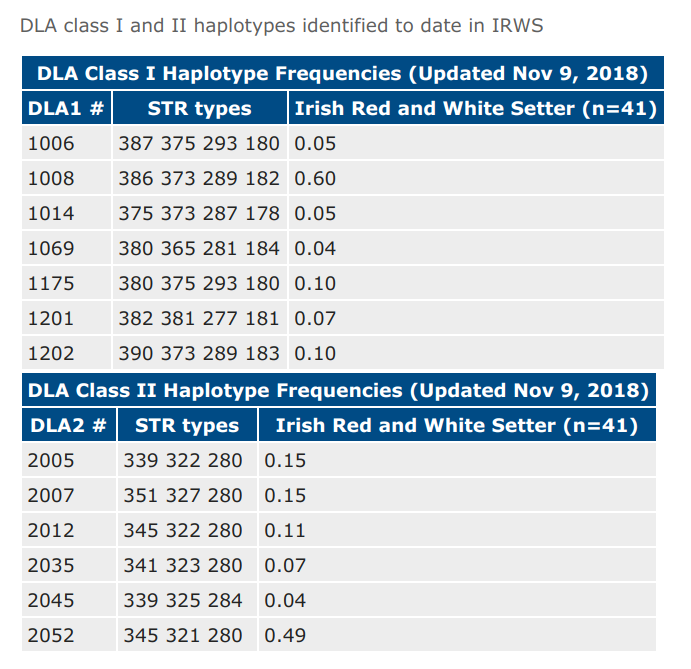 The breed that shared the most DLA haplotypes with Irish Red and White Setters thus far tested at UC Davis is the Golden Retriever, which shares 4 Class 1 and 5 Class 2 DLA haplotypes with IRWS. This may indicate some distant ancestors in common, as historically the breeds were developed in the UK and Ireland, respectively. Other breeds sharing DLA haplotypes do so because they are ancient haplotypes from shared origins of breeds. 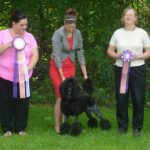 Other breeds sharing DLA haplotypes are Flat Coated Retrievers, Labrador Retrievers, Black Russian Terriers, Havanese, Samoyed, Giant Schnauzers, English Bulldog, Biewers, Yorkshire Terriers, Italian Greyhound, Alaskan Klee Kai, Maygar Agar, Japanese and American Akitas, all Poodle varieties, Barbet and Swedish Vallhund. It will be interesting to see how the Irish Red and White Setter compares to other Setter breeds, especially the Irish Red Setter, as they are tested. So what about the breedwide genetic diversity, or biodiversity? Thus far UC Davis has found an average alleles per locus of 5.09. 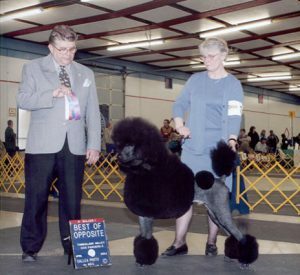 This is lower than many tested breeds, but likely to increase as more lines are tested around the world. Many more samples, from around the world, are needed to establish the breed report for the IRWS, we hope this preview will help encourage more people to participate! Ready to test your IRWS? Purchase a research phase test here! Or want to Enroll Your Breed? This category can only be viewed by members. To view this category, sign up by purchasing Full Monthly Membership or Full Annual Membership.